Read the Key Verse with your class. Ask your students if they have a time when they read their Bible each day. When do they do it? (i.e. : morning, afternoon, evening, etc.). For those who have a quiet time other than the morning, ask if things have ever come up to keep them from having that quiet time with the Lord (i.e. : homework, chores, ran out of time, TV, etc.). Encourage them to make it a priority to seek God not only early in the day, but early in life. He must become important to us – now. Summary: We have been learning the importance of God’s Word. We found it is good to praise God, and we have seen God does bestow blessings upon those who belong to Him. Now we must learn the importance of practicing the practical portions of the right way to live a life pleasing to God – and that we must begin to live that way early in life. Proverbs, the third Personal book, is known as a great source of wisdom. We will take 3 lessons to overview the book of Proverbs. The wisest man, Solomon (whose wisdom was a gift from God – I Kings 3:12), wrote many of these words. We will see that Solomon often addressed his son personally. The key to Proverbs can be found in Proverbs 1:7-8: “7. The fear of the LORD is the beginning of knowledge: but fools despise wisdom and instruction. 8. My son, hear the instruction of thy father, and forsake not the law of thy mother:” Many of the words of wisdom found in Proverbs were written from a loving father as a warning to his only son. In this light, we can count these words as being very important. These words of wisdom were recorded to help us live our daily lives wisely, too. Often it compares the “wise” with the “fool.” The precepts within are very practical. Much good will come to those who not only memorize these pearls of wisdom, but for those who apply these truths to their lives. For Christians, these words are more than practical, they are essential. Emphasis: Encourage your students to receive instruction from their parents as they teach them the importance of God’s Word. Help them see the significance of making God’s Word more important than anything this world offers allowing it to guide our life. Remind them that God wants us to seek Him early in the day – as well as early in life. One idea for today’s lesson: (See picture below). 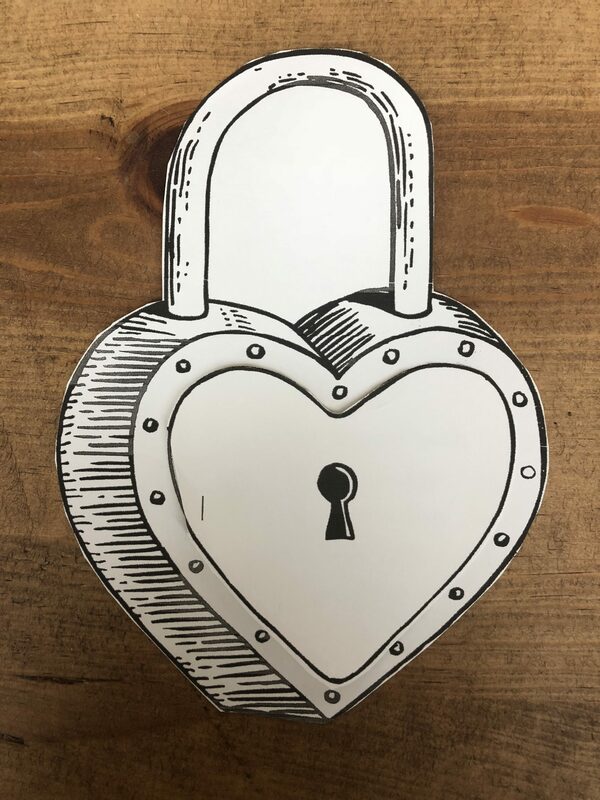 For today’s lesson I found a picture of a lock that was a heart. 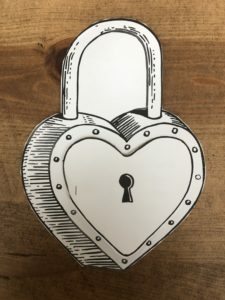 It had a second heart with a keyhole that glued as a flap to the front of the heart lock. 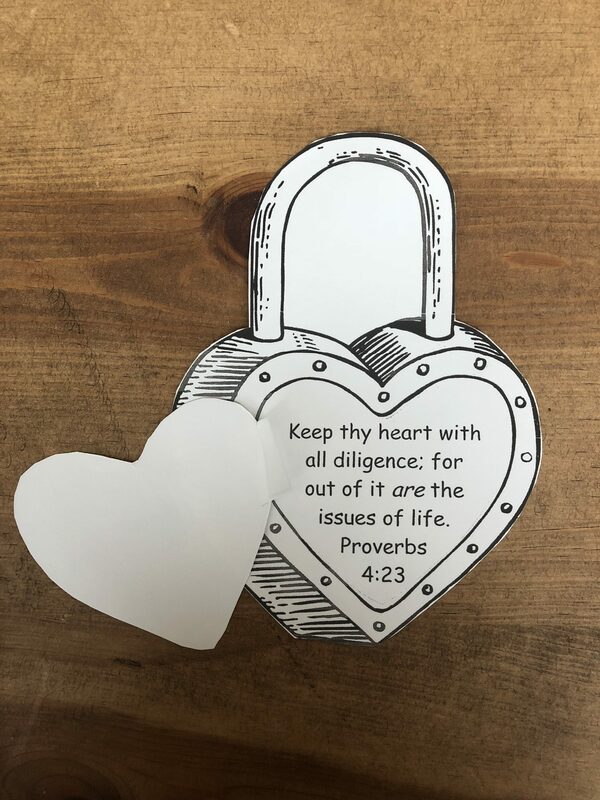 I put the verse Proverbs 4:23 inside of the lock. We then colored it. Help them understand the verse.